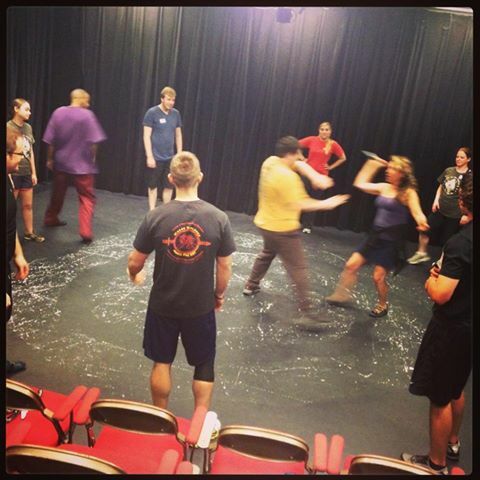 This past weekend, I participated in the A-Town Throw Down, a revered and popular stage combat workshop held at Kennesaw State University (near Atlanta, GA) every year. The Throw Down – sanctioned by the Society of American Fight Directors – is three grueling days of full-day training in everything from 300-esque spear and shield combat to bar fighting. On day one, after a brief warm-up, I went to my first class – Q Stick (Quarterstaff) – in which we learned and executed choreography with the quarterstaff at full speed, only breaking once for water…I knew then that I was in for a world of hurt and that these Stage Combat folks were as serious about their craft as any other combatant. I was filled with an odd feeling of eagerness mixed with dread. After a lunch of Chai Tea (only Chik-Fil-A was open on Kennesaw State’s campus and I don’t eat chicken), I headed to my Knife Class, where we had a grand old time “cutting” (the blades were dull aluminum) and disarming each other and then ended my day with some Unarmed Fight Choreography that left me sore, but eager to return the next day. The second day (Saturday), I began with some Instinctual Knife training and learned some things that will really enhance the blade fights in my films, then it was on to the Fighting and Music class, wherein I had to perform some of the fastest and most intricate choreography known to man. Thankfully, I was able to pick it up and execute it well; more thankfully, the teacher is a foremost master of Stage Combat and she was able to pull the fight out of us while maintaining absolute safety on a stage of about thirty people going at it simultaneously with swords. From there, I headed to what has to be the most physically demanding course on earth – the Shield and Spear class. First, I made the mistake of grabbing a big thirty pound shield and a heavy spear. Granted, I looked cool leaping through the air with such heavy weaponry, but after about a half hour of full speed choreography with the damned things, I was smacking myself in the forehead for not picking the much lighter small shield and one of the spears made of a wood half as heavy as mine. Everyone left the spear and shield class with a lot of knowledge and a WHOLE LOT of hurt. I finally ended my day with the Whip class. I had to block out the pain in my hips, feet, back and hamstrings in order to stand up and wield the damned thing, but it came naturally and I was cracking that whip from all sorts of directions. At one point, I thought about how my ancestors were probably beaten with such a weapon, which strikes at 900 miles per hour on average (that “crack” you hear is the sound of the end of the whip breaking the sound barrier) and I got nauseous and no longer had a desire to hold the weapon, so I sat down for a breather and to center myself. After a few minutes, I (slowly and with great and painful effort) got up and returned to the floor for more whip-crackin’ goodness. On the final day, I started off with the Ground-N-Pound Class, where we choreographed our own ground fight after a few falling and rolling drills and drills to get us to commit to “the moment”. Some of the fights were cheesy. Most were exciting. I was working with one of the instructors and he gave me permission to push the envelope, so we did a brutal fight that ended in me catching him in a toe hold and snapping his ankle and knee (it was safe – no joints were harmed in the making of this fight). After that class, I went to the Single Sword Class, where we learned and executed some swashbuckling choreography. Spatial awareness and control are essential when two people are whipping steel rapiers all over the place. Finally, I ended my day with what had to be the funniest, silliest class I have ever taken, yet it was brilliant. The class was entitled Roadhouse! (yes, the exclamation point is part of it) and it was an exercise in controlled mayhem. Fifty people on stage having a bar fight with mugs of beer, waitress trays, tables, chairs, a bar, bartenders and all – however, it is a bar fight in the Roadhouse universe – see the movie if you haven’t already and if you have seen it, watch it again – so things were nuttier than squirrel poop. A punch to the stomach caused you not to bend over in pain, but to stand straight up…a waitress holding a tray was invisible, but if she hit you with her tray, you were knocked out…the only place thrown chairs ever landed was the bar and paper and cups were constantly flying through the air – even if it was unconscious people tossing them. Like I said…squirrel poop. After that hilarious and surprisingly fun class, which taught me how NOT to choreograph (one of the points of the seeming madness), I headed home for some much needed sleep. You guessed it…that’s me in the purple shirt after I attacked the guy in the yellow shirt in the “circle of death”. When I awakened I reflected on the weekend…all the education I received…all the fun…but the discomfort I felt at being the only Black person at the event (well, there was one other, but he spent so much time trying to point out to everyone how Black he wasn’t – “I’m Panamanian and Filipino and yeah, there’s white in me too…I promise”) and the fact that many people avoided being my partner (“I don’t stink…I promise”) made me uncomfortable. I wondered why there weren’t any other Black people at the event, nor are there any Black instructors – let alone Masters or Directors – in the entire Society of American Fight Directors. Granted, there aren’t many Black people in theater, but there are many trying to break into film. Since you almost can’t make a movie without a fight scene nowadays, such training is essential if you are serious about your craft as an actor and certainly as a fight choreographer. Seeking to use his renown as a world and international champion in fighting, weapons and forms (kata) to break into Hollywood, Larnell Stovall moved from New Orleans to California to pursue a career as an actor and fight choreographer in February 2001. Stovall quickly established himself as one of the best in the business with his work on the popular duo of web series – Mortal Kombat: Rebirth and Mortal Kombat: Legacy, as well as the films Undisputed III, Never Back Down II, Blood and Bone and Bunraku. Style: versatile and dynamic; incorporates high and jump kicks and acrobatics, thus he works best with quick flexible and agile performers. Washington, D.C. native William Charles Jeffreys, III – Chuck Jeffreys – began his training in the martial arts at the age of eight, starting with Western Boxing and Tae Kwon Do. He began training in Tien Shan Pai Shaolin Kung Fu in the early 70s and began teaching kung fu in 1974. Over the decades, Jeffreys learned and mastered other martial arts styles and systems, such as Kali, Indonesian Silat and Shoot Boxing. Jeffreys put his skills to use in Hollywood, becoming a stunt double for the actors Eddie Murphy and Ving Rhames. He then went on to assist in the fight choreography – and to train actor and martial artist Wesley Snipes with the sword – for Blade. He has also choreographed fights for the blockbusters, Spider-Man and Freddy vs. Jason. 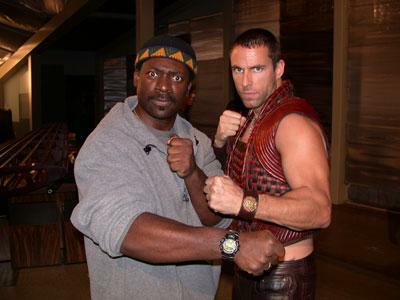 He returned to the Blade franchise in 2004 to train Wesley Snipes and the rest of the cast for Blade: Trinity. Style: efficient, realistic hand-to-hand combat, with occasional high and low spinning kicks for flare. R.L. Scott was born in America, raised in Salvador Bahia Brazil until the age of 16 when he returned to the United States. It was then that he began writing and one year later, he made his first short film. He has since gone on to involvement in over fifty shorts and feature films in many capacities including writing, directing, fight choreography, cinematography, post production work, and editing. In 2007 Scott did the fight choreography for Champion Road, a popular feature film he wrote, directed and produced and in 2008, took on the same roles for its sequel, Champion Road: Arena. In 2012, Scott choreographed the fight scenes for the feature film entitled Call Me King, which stars international superstar Bai Ling (Red Corner). Call Me King is scheduled to be released early 2014. Style: probably closer to Chinese cinema than any other non-Chinese fight choreographer in the business. The beauty, power and stylistic fights of films such as Fearless, Dragon-Tiger Gate, Ip Man and Sha Po Lang – aka Kill Zone – is Scott’s signature. 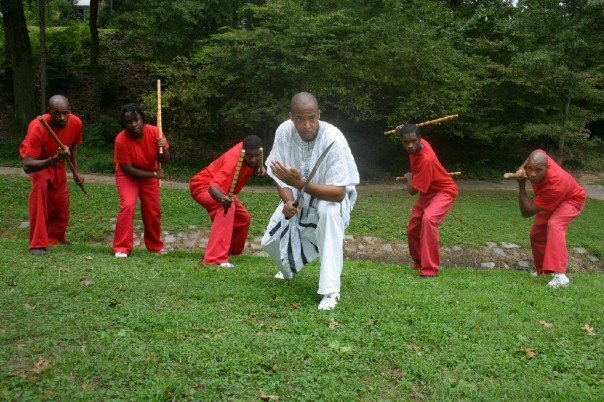 After performing stunts and fights in several films, plays and demonstrations, Balogun – a master of indigenous African martial arts – went on to choreograph fights for the stage and for the independent films Reynolds’ War, A Single Link, Equalizers and Rite of Passage: Initiation. 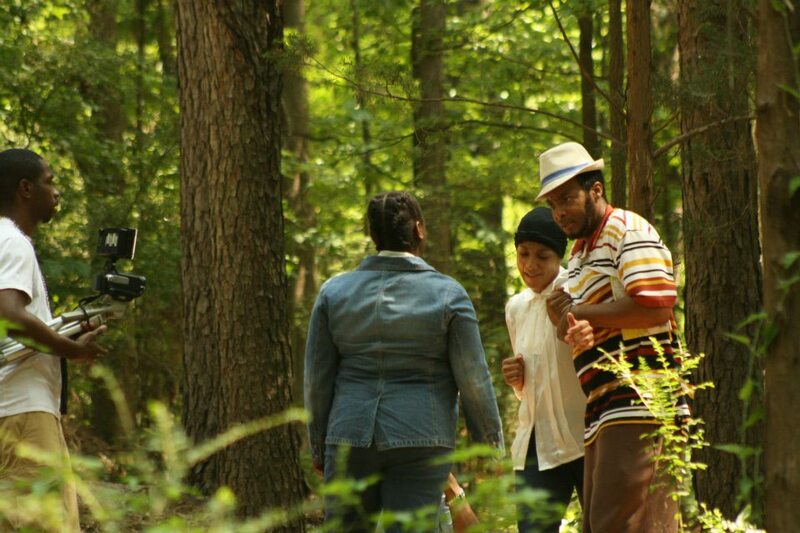 Balogun is – at present – choreographing fight scenes for the Steamfunk feature film, Rite of Passage, which is scheduled to premiere in early 2014. Style: brutal, efficient and unique, combining the smooth, rhythmic, yet viciously effective African martial arts with such “exotic” martial arts as Savate, Bartitsu, La Canne, Capoeira Angola and Catch Wrestling. I attended the A-Town Throw Down because I want to hone and enhance my craft so that I can create the very best films…so that I can bring you eye-popping fight choreography that you enjoy and that I am proud of. Nothing less than excellent is expected of me or acceptable to me. That’s my motto. Please, adopt a similar one (or just use mine) if you haven’t already and let’s make some great movies, y’all! Posted by Balogun on May 20, 2013 in Adventure, Afrofuturism, atlanta, Historical Fiction, Martial Arts, Science Fiction, Steampunk and tagged fight choreography, rite of passage, steamfunk, steampunk. That’s quite a tale! Sounds exhausting but fun. I don’t think I could ever use a whip though; even without its unfortunate history, I would fear striking myself with it by accident! Very informative piece on the choreographers. It would be amazing if you all got together, compared styles, and see who can stage fight the most convincingly. My whip instructor once hit himself in the back with the whip and drew spinal fluid! He was a young man, experimenting without proper instruction.With ANY weapon, you must have proper instruction and supervision and you must exercise safety first! Thank you for the inside scoop of how to train for an authentic fight scene. It was interesting to read how much training goes towards making these fights in film look realistic. Sometimes thirty or forty takes are done just to make one punch or kick look better. It’s grueling, but well worth it in the end product. Thanks, so much, for your feedback, Sheryse!